Reduction in material usage and increased cost efficiency are two important manufacturing-based goals. The concept parts creation for these two goals is possible with topology optimization tools and Apium P Series 3D printers, which are designed to produce your optimized parts with complex geometries. Recently, topology optimization has become increasingly important as a versatile design and development method for lightweight construction. The typical fields of application range from automotive construction to aerospace technology to other branches of mechanical engineering. Topology optimization is a computer-based calculation method for product development, which can detect the optimization potentials very early in the development process. With the help of special software tools, prototypes can be designed with significantly less material. Therefore it is necessary to determine the best distribution of the material for a given installation space while observing different boundary conditions. This distribution and material-saving offers many advantages. However, the most important advantage results from the reduction of the component mass. This material saving generally reduces material costs, while the overall weight reduction leads to considerable fuel reduction. Apium’s research and development team has dealt with this topic and carried out a number of tests. Using Apium’s P-Series 3D printers, you can benefit from the capabilities of their unique FFF 3D printing technology for high performance polymers in combination with topology optimization for an accelerated product development. In Figures 1 and 2, a conventionally designed bearing seat as well as a topology optimized bearing seat can be seen – both manufactured in our Apium P155 printer. The optimized part offers considerable weight reduction and shorter production time compared to conventional design without sacrificing the “original” stability. As topology optimization in combination with additive manufacturing offers great benefits, good results can be assured if the problem or the load is sufficiently known. Components which are optimized for a specific case can no longer withstand a load when the force introduction point changes. For a successful topology optimization, it is therefore important to recognize in advance all the risks of a possible component failure. This requires sufficient experience. One way to assess the risks during the development process is to carry out tests on prototypes. Additive manufacturing methods such as the Fused Filament Fabrication (FFF) process can be used for rapid prototyping, which can play out its advantages with topologically optimized components. Short-term changes to your prototype can be quickly adapted using the 3D printing technology and can be reprinted with lower costs. This synergy between additive manufacturing and topology optimization has been indispensable especially with the concept of Industry 4.0 and has become an important component in product development when it comes to material efficiency and sustainability. 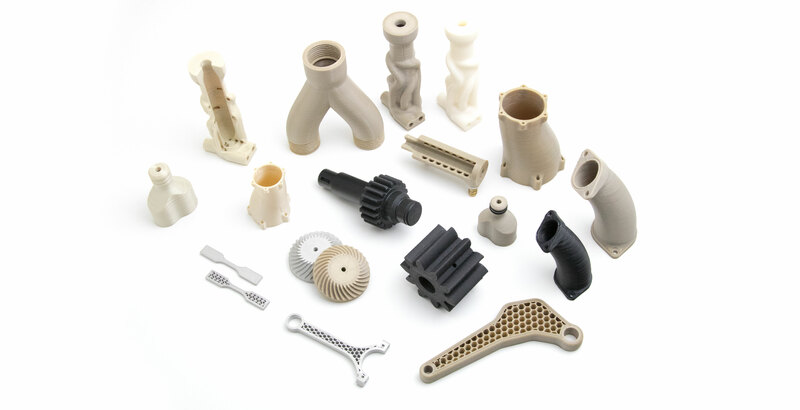 Contact our team to use Apium`s advanced technology for your functional prototypes or small series end use parts and implement the advantages together with topology optimization.